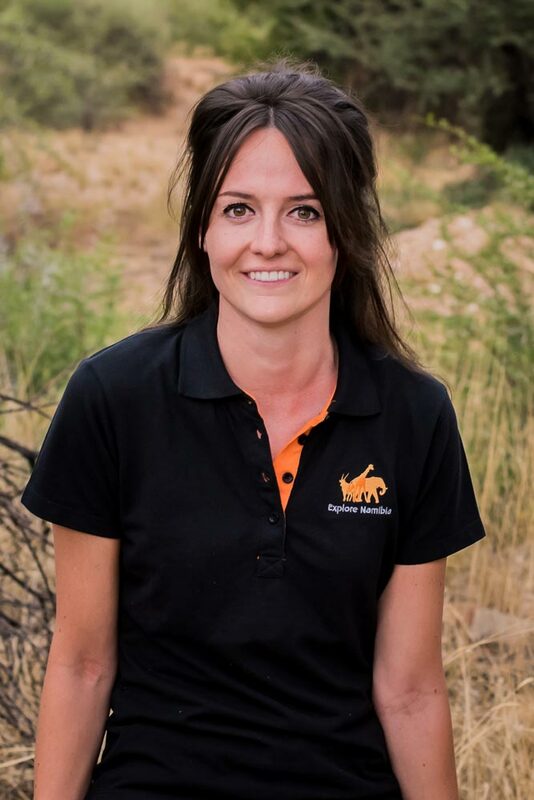 Explore Namibia is a dynamic and professional company in Namibia, founded in 2006 by the Dutch couple, Marco and Elise. Both have travelled through Africa extensively and they simply love it. When the opportunity occurred to go on an adventure to Africa, they did not hesitate, quit their jobs in Europe and moved 10.000 km South. And still today, after all these years they still love what they do – Explore Namibia and help others do the same! 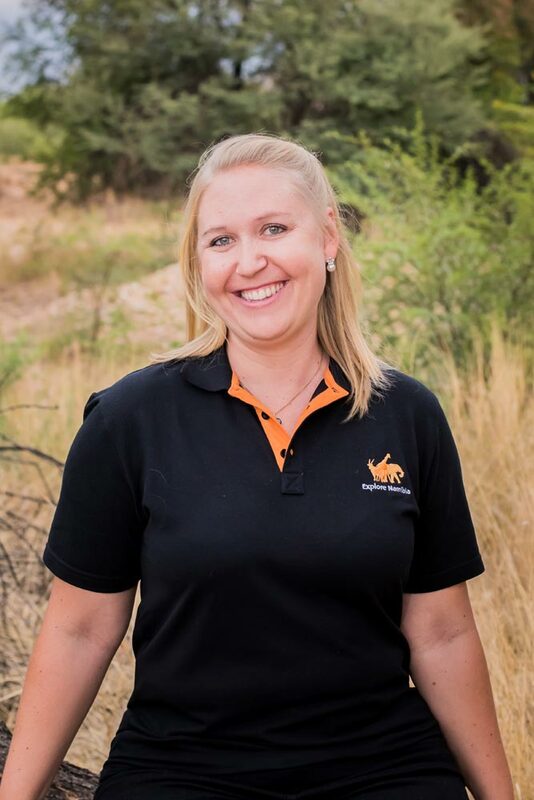 Over the past 13 years Explore Namibia has grown and built a strong team in Windhoek, Namibia with a vast amount of local ‘know-how’ and up-to-date information. Here you will also find nearby support while travelling. 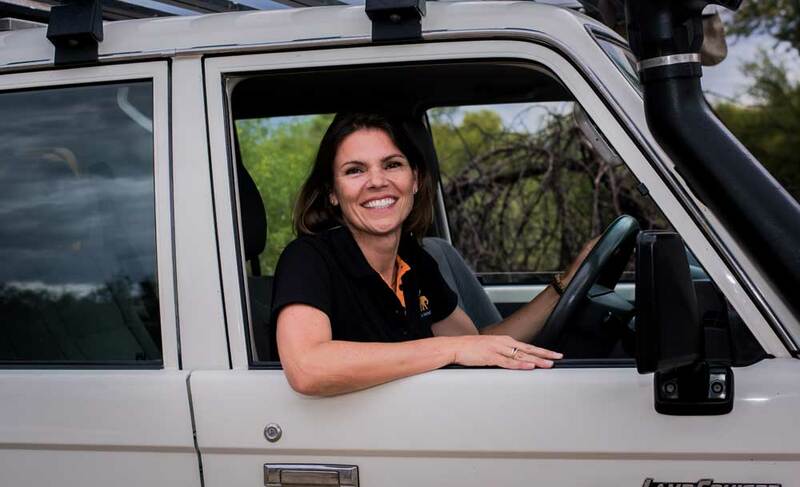 And as recent as March 2019, Explore Namibia also opened an office in Haarlem, The Netherlands, so that experienced tour consultants can bring the next Africa adventure closer to your home. It all started in 2006 when me and my husband left the Netherlands to start a new life in Namibia. Namibia had been our favorite destination for many years and this we wanted to share with others. Explore Namibia was born. Time flies and it is now already 13 years ago that we settled in Windhoek. During this time, we organized many self-drive tours. This self-drive concept is simply what we enjoy ourselves and I believe it is the way ‘to go’ for many others as well. Travelling should be at the traveler’s own pace, and focus on their own interests. And it has to be an adventure! Nature lovers will be in their element in Namibia as it is 200% nature, with its landscapes, national parks, dunes and coast. Bird fanatics must go to Etosha to find the blue crane and to the Caprivi for the great eagle owl and the kingfisher family. Namibia is also perfect for a family holiday, as long as they take it easy and plan it well. This amazing country is also a photographers paradise: get close to animals, enjoy amazing colors and contrasts and make spectacular photo’s of the milky way at night. Explore Namibia! We listen and we plan. Based on your wishes we organize your self-drive adventure that will stay with you forever. 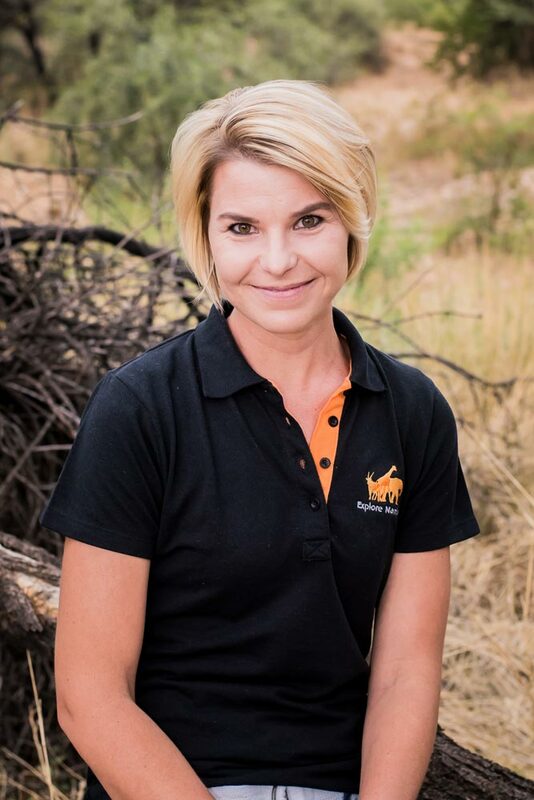 Our team, whether from Namibia or The Netherlands will assist you organize your dream holiday! We organize your car, equipment, accommodations as well as fun activities. We communicate with you throughout to ensure you will get exactly what you like and we treat your adventure with the same passion and care as if it was our own. Seven years ago, during our own first self-drive trip, I fell in love with this beautiful country. After having returned to Namibia several times, our inner feeling told us to do something with it. Together with my husband we decided to build up a living in Namibia. 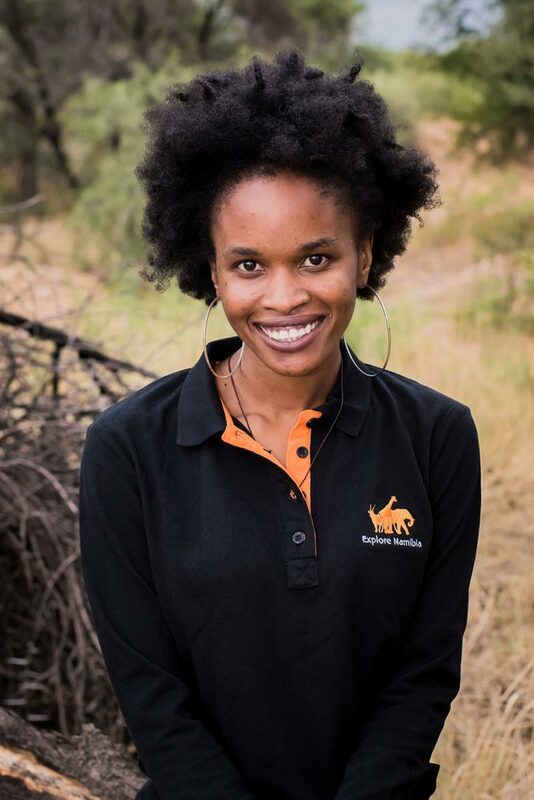 By joining the Explore Namibia team I could let other people fall in love with this beautiful Namibia and Botswana. A little while ago, Explore Namibia opened new offices in Haarlem, The Netherlands. That was the moment that I left Namibia, but never in my heart. Now I am able to meet the travelers closer to home and still organize them the most beautiful journeys. 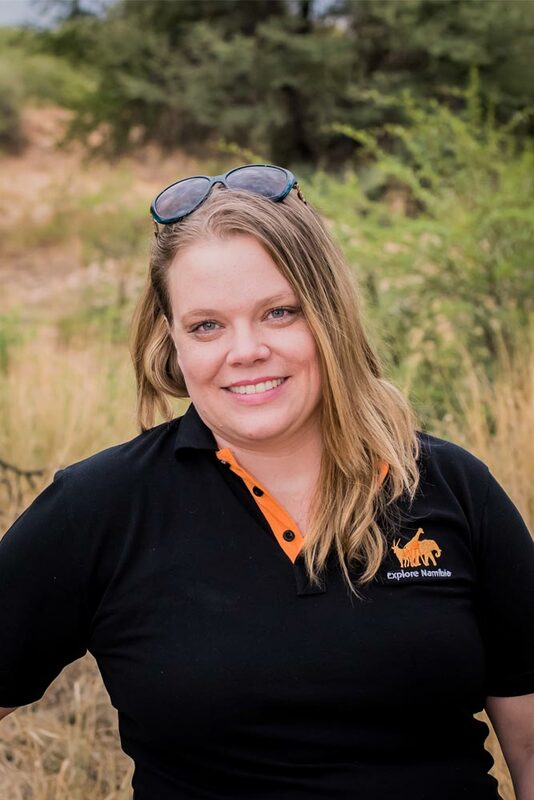 I am passionate about assisting travelers from all over the world with planning their own journey and to provide them with all kinds of information about Namibia and Botswana which are both the most special and amazing countries. I go with the quote that says, “Do not let others tell you how amazing the world is, see it for yourself”. It is better to see something for yourself than to hear about it a thousand times from others. 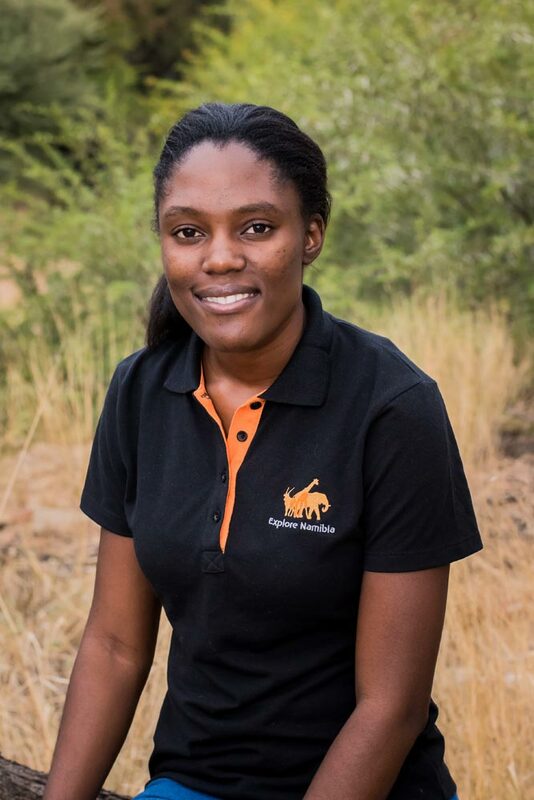 I started with the Explore Namibia team in the accounts department, coming out of a payroll support consultant/trainer position. I am very happy I made the move. There is a saying that ‘a change is as good as a HOLIDAY’. Explore Namibia is different from the corporate world I know. They are like family and I am privileged to be part of this team. My hobbies are horse riding, cycling and jogging, drawing, painting and crochet/knit for the relaxing side. My home language is Afrikaans however, I can also speak English and I do understand a little bit of German, but in a slow conversation ???? 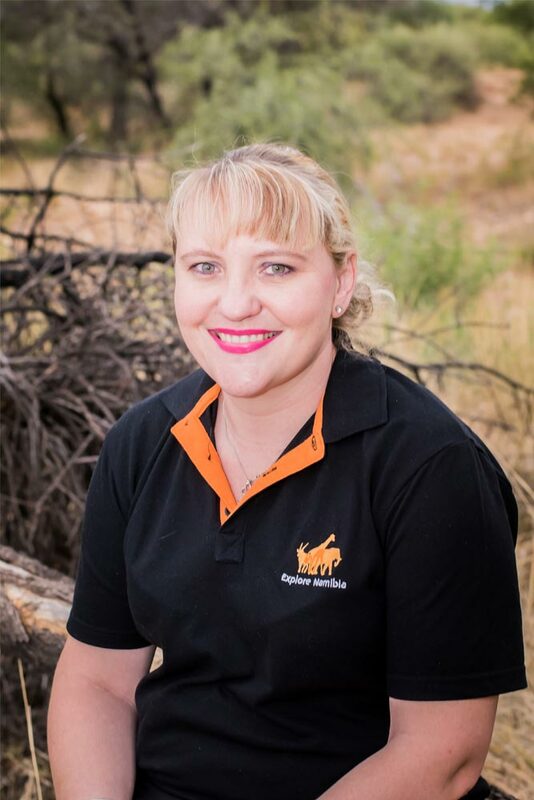 I am a born and bred German-Namibian farmgirl, growing up far away from the hustle and bustle of towns. 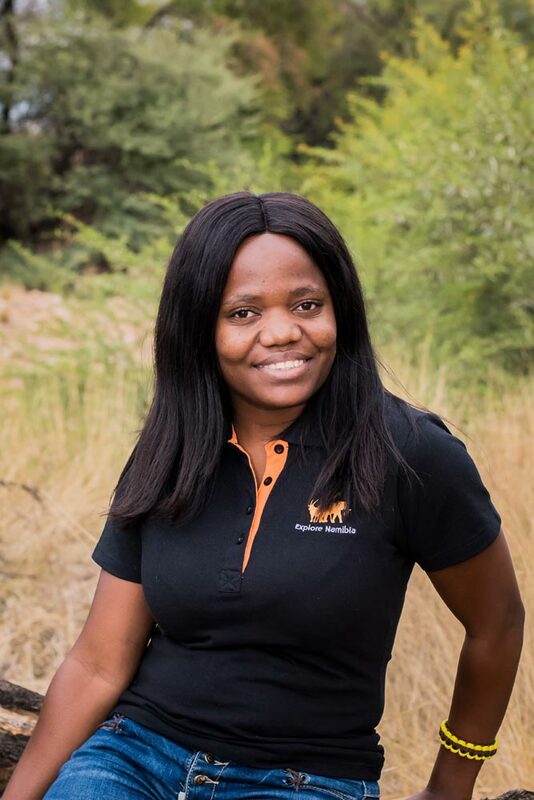 Namibia flows in my blood, there is nothing more soothing for my soul then to take a stroll in this breathtaking nature or to go for a tour and to be surrounded by the most amazing landscapes and Africa’s wildlife. My parents always went on camping trips with us during holidays – we loved it! I guess that was where my passion for independent, self-drive tours started. We seldom knew where we would sleep the next day. It was all a big adventure and the journey was the destination. As long as I can remember my parents took me on self-drive safari trips through Africa. Sometimes we slept in lodges, but we also often slept outside, on campsites in roof tents on top of our old Toyota 4×4 Landcruiser. Although it was considered a “normal” holiday, it always felt as a great adventure to me. The sounds of wild animals during the night and sleeping under the millions of stars – that feeling is simply indescribable. I am still passionate about adventurous camping trips, nature photography and teaching my little daughters the beauty of nature. I speak English, German & Afrikaans and can understand quite a bit of Dutch. 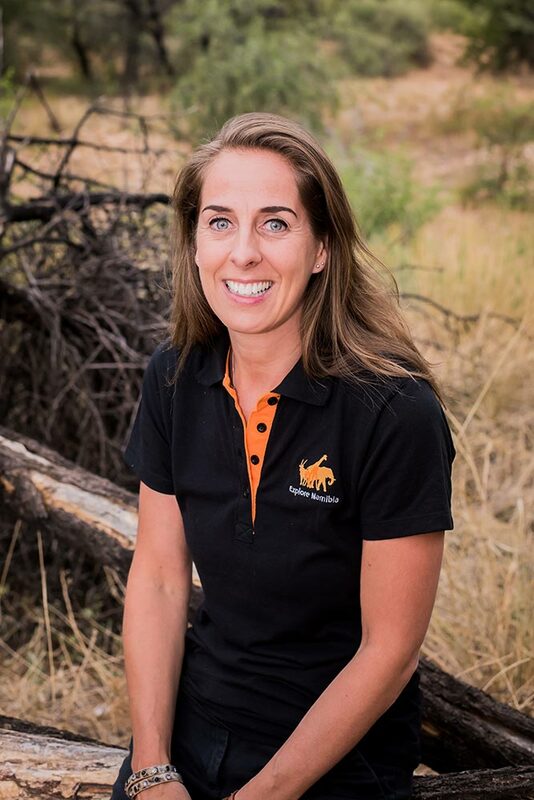 As a child, a family safari was always a huge adventure – to discover new destinations, setting up camp, unearthing unknown plants and spotting animals. Still today, I enjoy a family holiday in our beautiful Namibia and learn new features of our country with every single trip or excursion. I love to assist others with planning their own self-drive experience and consider it a real privilege to see that special twinkle and new knowledge in their eyes upon returning. There is simply no better escape from our busy life than spending time in nature. Travel itself, speaking different languages, and tourism in general always had my interest. Also, during my studies these were the areas that had my full attention. 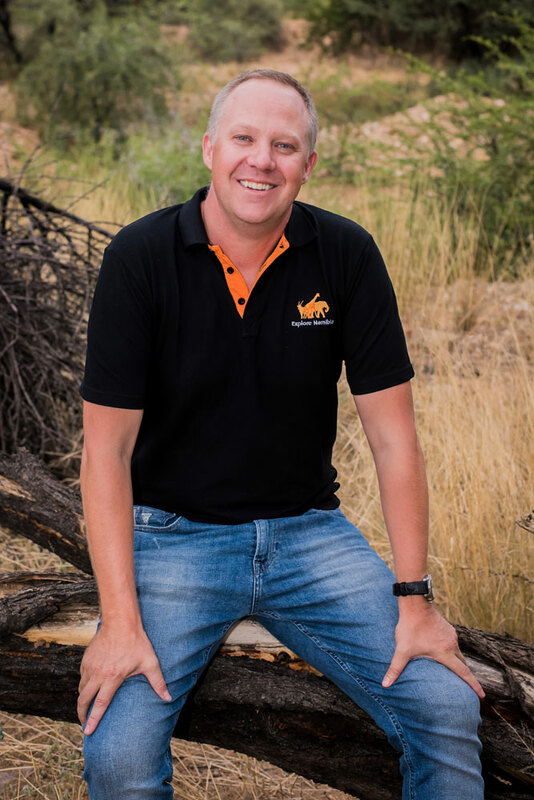 In my working life it took a bit to get here, however now I am where I feel at home and that is in the world of travel with Explore Namibia. I have seen many places around the whole world and also lived in the United States, however Africa has my heart. Stunning landscapes and a well-equipped 4×4, that is all I need to feel happy. 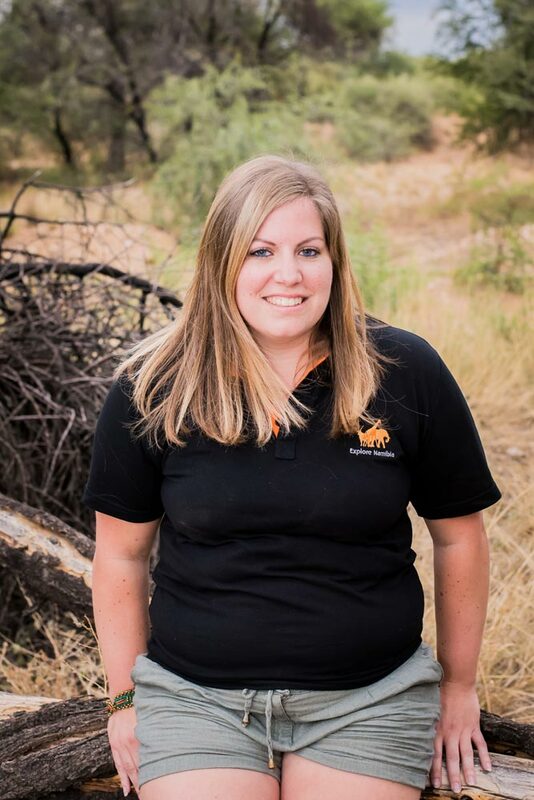 Let me help you organize your adventure in the African Wild. 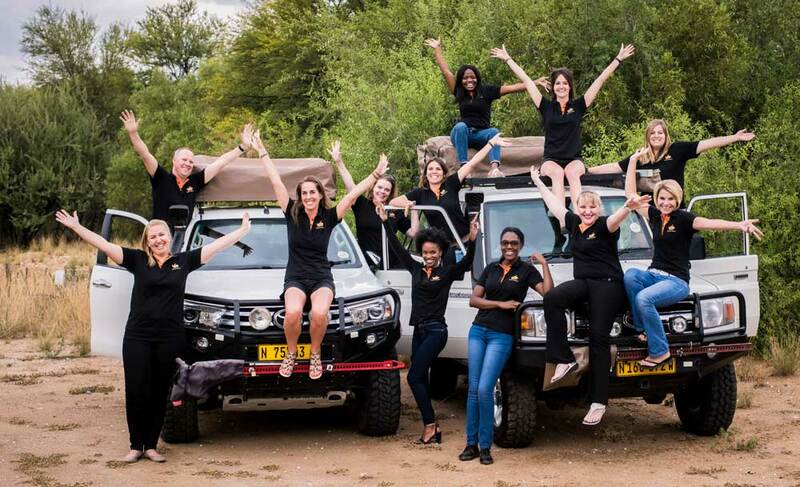 Explore Namibia is a great company to work for because it believes in teamwork and that makes the dream work. My main responsibility is checking on the availability of accommodations or transportation on our clients’ desired travel dates and making their travel dreams a reality. My first tour through South Africa made such an impression on me that, from that moment I started to focus more on the surrounding countries. The desert, the never-ending landscapes, nature with all its wild animals and the starry skies are simply breathtaking. This is what I love when I travel through Namibia and Botswana. What I enjoy most is seeing Elephants up close! I want to use my knowledge to create your unforgettable journey that fully meets your personal wishes. Our team assures that you have an unforgettable experience in ‘the land of the brave’. Millions of bright stars at night, a cozy BBQ campfire in the middle of nature, the sights of free-roaming wildlife and breathtaking landscapes with endless horizons. In a search for adventure and ultimate freedom, these elements made me fall in love with Africa. And until today, I realize that Elise and I have been very fortunate being able to make our dreams come true, something that I will be grateful for the rest of my life.